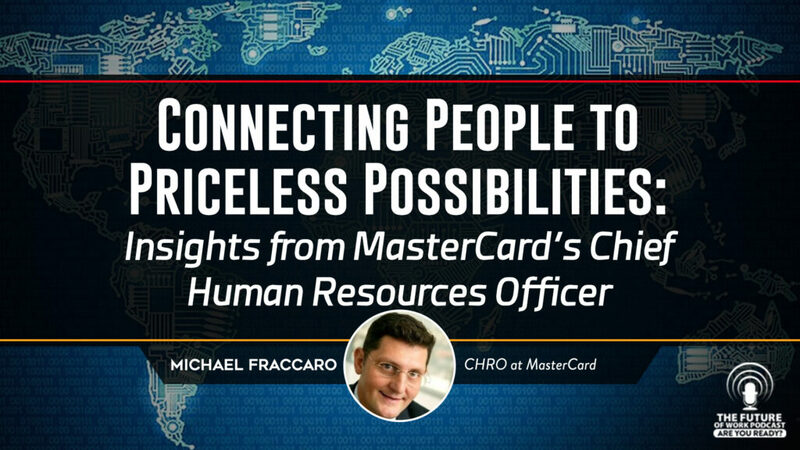 Michael Fraccaro is the Chief Human Resources Officer of MasterCard. In this role, he is responsible for all human resources functions globally, including driving cultural transformation, building leadership capability and creating a company that is “most valued to work for.” MasterCard is about 50 years old with 14,000 employees in 74 countries. From 2012 until assuming his current role, Michael served as Executive Vice President of HR, Global Products and Solutions. In this role, he supported the company’s growth in key businesses and markets and optimized talent programs in a competitive environment. He also was responsible for leading the global HR integration of new acquisitions and joint ventures. Prior to joining MasterCard, Michael was a core member of the HR leadership team at HSBC Group for nearly 12 years, based in Hong Kong. Earlier, he held senior HR positions in banking and financial services in Australia and the Middle East, working extensively across different cultures. Michael defines the role of CHRO as one that centers on thinking about the business strategy. He sees his role as one that works to ensure they have the right people in the right roles, strong leadership in place, and the right culture set up in order to make the business as successful as possible. Within MasterCard in general, it is growing up the core business, diversifying in new markets and new customers segments and building new businesses. In Michael’s words: “grow, diversify and build”. One goal of MasterCard is that they want people to feel that it is a decent place. As Michael says, they are “doing well by doing good”. They have several initiatives in place that allow employees to have an impact on their surrounding community. How does Michael stay on top of trends? 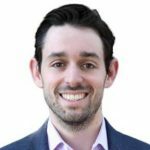 The post Connecting People To Priceless Possibilities: Insights From MasterCard’s Chief Human Resources Officer appeared first on Jacob Morgan. I'm a best-selling author, keynote speaker, and futurist who explores what the future of work is going to look like and how to create great experiences so that employees actually want to show up to work. I've written three best-selling books which are: The Employee Experience Advantage (2017), The Future of Work (2014), and The Collaborative Organization (2012).